This program is aimed at the developing club or regional level player. It will focus on core technical skills for possession, receiving and distributing the ball. It will introduce small game tactics and outline the general approach to attacking and defending strategies. It will also educate on appropriate warm up and cool down protocol. Our pre-teen foundation camp program will set the stage for young athletes to develop the fundamental movement patterns and tools necessary for sport and overall health. 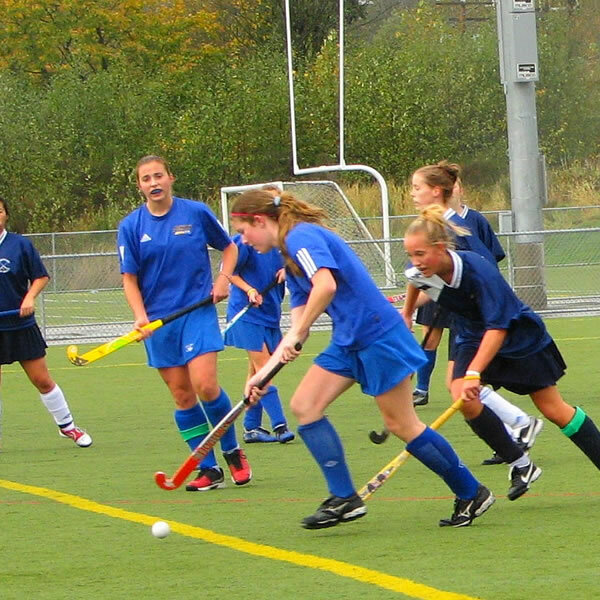 This camp is aimed at having fun and introducing and developing a love for physical activity and the sport of field hockey. Emphasis will be on exposure to fundamental movement skills to build agility, balance, co-ordination and speed as well introducing the core skills and basic min-game play associated with field hockey. This program is aimed at High School and Club athletes looking to prepare for league play in the fall. It will advance their skill development and tactical understanding of the game. Core skills will be refined at speed and under pressure and specific skills for possession, elimination, goal scoring, and tackling will be introduced and developed. This program is aimed at Club, Regional and Provincial level athletes looking to advance their skill development and tactical understanding of the game. Core skills will be refined at speed and under pressure and specific skills for possession, elimination, goal scoring, and tackling will be introduced and developed.